With a population of just over 10,000, Ludlow is a picturesque market town in Shropshire, not far from the county’s southern boundary. There are some lovely properties to be found in the area, suitable for a range of tastes and budgets. At My Home Move Conveyancing we’ve been improving our knowledge of local markets like in Ludlow since 2001, enabling us to bring our clients in the town a specialist, fixed fee conveyancing service. If you want to buy or sell property in Ludlow, you need to instruct property lawyers to complete the legal work for you. 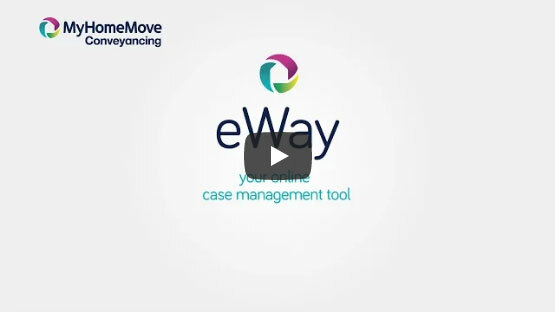 My Home Move Conveyancing offers award winning customer service, intimate knowledge of the local market and an innovative use of technology. Our professional conveyancing service comes for a fixed fee, so you know how much you’re going to pay right from the start. There are no extra charges or hidden fees to worry about when you choose us to be your Ludlow conveyancers. And if you don’t end up completing for some reason, you won’t have to pay us anything in legal fees. You’ll be assigned a dedicated conveyancer who’ll oversee everything for you, looking after all aspects of your case from start to finish and regularly providing clear updates on your progress. You’ll also have access to your account online, so you can check up on things whenever you want. We’re delighted to provide our conveyancing services in Ludlow to homebuyers looking for a variety of properties in the area, including in spots close to the train station, Ludlow Castle and by the River Teme. The average house price in Shropshire is £204,818, while the overall average sale price in Ludlow over the past year was £210,443. Most sales in the period involved terraces which went for £196,914, while detached properties averaged at £278,887 and semis at £194,870. Taking its name from the hill it sits on and the once-raging waters of the River Teme which flow nearby, Ludlow is a town with plenty of history. Ludlow Castle traces its roots back to the 11th century, and the town grew up around it over the next hundred years. The modern Ludlow is popular as a tourist spot thanks its array of medieval and Tudor architecture, as well as its location on the doorstep of the beautiful Shropshire Hills. As it’s a rural town, Ludlow relies on the A49 as its main road connection, with no motorways to spoil the area’s natural charm. The town does have its own train station though, which is conveniently located close to the town centre. Journeys to spots like Shrewsbury and Hereford take around half an hour from here. There’s a range of schools to choose between in the area, including three for younger children. These are St Laurence CofE, Ludlow Junior School and Bishop Hooper CofE in nearby Ashford Carbonel. Ludlow CofE provides secondary education for children aged between 11 and 16, while Ludlow College is the place to go for further education. All properties in Ludlow will fall within one of the following council tax bands.